Think you know Santa? Think again. 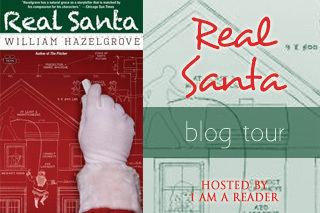 Discover what Santa was like when he was young and the events that helped him become the jolly man we like so much. Why do elves help him make toys? Why does Santa have a white beard? Why does he walk with jolly and cheer? Mrs. Claus is not left out either. If readers pay close attention, they will discover some of the strategies that helped her become the most famous baker in history. This book contains timeless lessons for both children and adults. 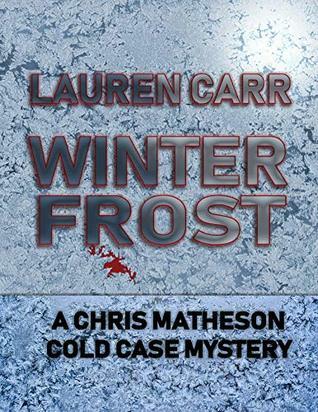 It’s a holiday story that loved ones will want to read year after year. 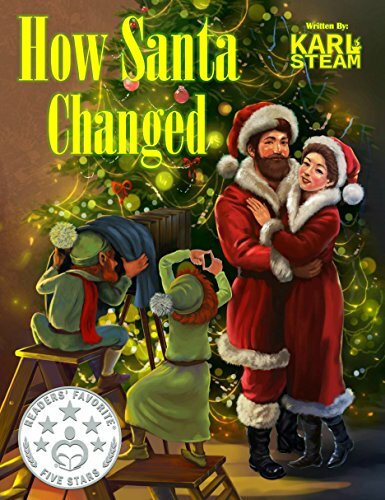 How Santa Changed is a children’s book about how Santa became the Santa we know today. According to this story, he started out making toys and delivering them himself. As he got older and the world’s population grew, he had to get more help. As Santa grew, so did Mrs. Claus. When they first got married, her cookies didn’t taste very good but over the years, she perfected her recipe. Once she did that, Santa never had a flat belly again. The text is cute and rhymes and the illustrations are colorful and very well done. 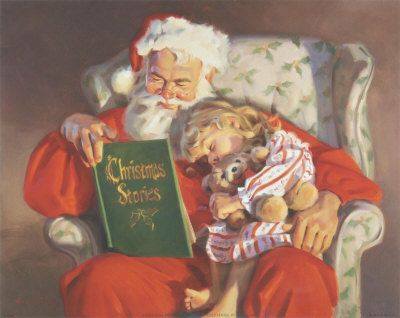 How Santa Changed is a great book for children to read this time of year. It’d also be a good book for parents to read to younger children because the illustrations will keep their interest. The Christmas Cats Fear for the Deer is a Seuss-ical tale for young children (4th in the series) which builds upon the morals of the first three Christmas Cats books (The Christmas Cats in Silly Hats, The Christmas Cats Chase Christmas Rats and The Christmas Cats Encounter Bats). The Cop Cat, Cy, thinks up a particularly ingenious plan to save all the deer in Scott County Park by introducing them to a jolly old guy in a red suit who lives at the North Pole. Perhaps the deer can also help Santa on Christmas Eve, if they are outfitted with prosthetic (fake) antlers? Illustrated with delightful drawings and written in rhyme, there are also interactive coloring book pages and mazes from the book’s website, which the author encourages children aged 3 to 10 to fill out and mail in for display. (www.TheXmasCats.com). The cats are concerned because the deer are in danger. They try to find them a safe place away from hunters and, finally, figure out that the best place for the deer is at the North Pole with Santa. He even has antlers for them to wear and they get to help pull the sled on Christmas Eve. 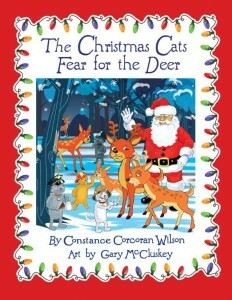 The Christmas Cats Fear for the Deer is a delightful children’s Christmas story. It’s told in rhyme and reminds me somewhat of Dr. Seuss. The pages have brightly colored illustrations and each page is surrounded by Christmas lights! At the end there’s a maze and a picture to color. This is a wonderful book for children to read during the Christmas season. “Author Constance Corcoran Wilson has created a fun story with THE CHRISTMAS CATS CHASE CHRISTMAS RATS that helps to not just entertain the reader but teach important lessons as well. Just in time for the holidays we are able to see how a group of Christmas Rats are just misunderstood and judged prematurely, when they are really a big help to those who appreciate it. The story also allows us to see that when it comes to where we can find friends and some of our greatest allies, the answer may not be too far away from us. “I thought it was a very good book. It was also very funny, and teaches you to leave God’s creatures alone because they help the earth and ecosystem. “Well, what can I say? Cats, rats, bats? Where does the fun stop?! Seriously, this is a delightful book that any child will enjoy having read to them or reading themselves. The rhymes are constant and sharp. It’s the sort of book where children will love to shout out loud the words as they search along with the Christmas Cats for the bats. The illustrations, once again, are brilliant. They are colourful and engaging and capture the pure zany fun this book offers. 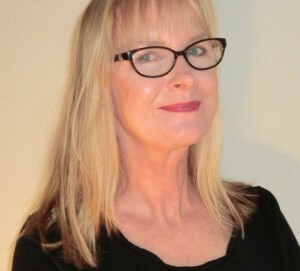 Connie has published many works representing a variety of genres. Wilson’s first book (1989), published by Performance Learning Systems, Inc. of Emerson, New Jersey, Training the Teacher As A Champion, put forth the teaching techniques and principles taught by the nation’s largest teacher training firm. Written by Wilson in collaboration with PLS founder Joseph Hasenstaab, the book gives an insight into the effective teaching practices of successful teachers, those techniques included in that organization’s Project T.E.A.C.H. (Teacher Effectiveness and Classroom Handling). Connie taught at the elementary level for 20 years, taught writing at 6 IA/IL colleges, and founded the second Sylvan Learning Center in the state of Iowa in 1986. Since then, Connie has published 30 titles in a variety of genres, with the Christmas Cats series written with and for her now-six-year-old granddaughters, Ava and Elise. (Illustrations by Gary McCluskey) now entering its fourth installment. 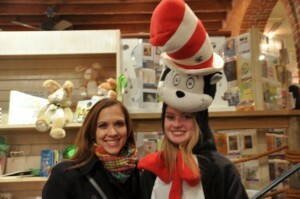 The Christmas Cats in Silly Hats began the four-book series and the cats help other animals in distress while wearing a delightful series of silly hats. The second book in the series, The Christmas Cats Chase Christmas Rats, was a plea for all to remain unprejudiced (“Do not judge others without knowing, or prejudice you will be showing”) and the third book, The Christmas Cats Encounter Bats, stressed the need to honor all life as sacred. This year’s book , The Christmas Cats Fear for the Deer, encourages helping others and also strikes a blow for individuals who some might consider handicapped, but who can succeed and excel if simple accommodations are made for them. 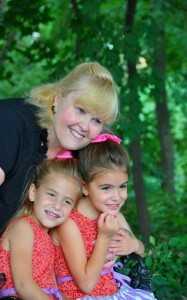 Connie’s adult fare can be seen on Amazon or on her dedicated author site, www.ConnieCWilson.com. 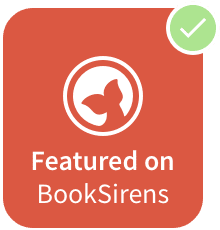 The Christmas Cats Encounter Bats was one of 7 books singled out by the CWA (Chicago Writers’ Association) as one of the Best Books of the Year by a Chicago author in 2014 at its annual award ceremony. Connie’s adult fare has won “Shelf Unbound” Page-Turner of the Year awards, NABE (National Association of Book Entrepreneurs) Pinnacle Awards, E-lit awards, LuckyCinda awards, Silver Feather Awards as Writer of the Year from the IWPA (Illinois Women’s Press Association) in 2012 and 2014 and, Midwest Writing Center’s Writer of the Year Award in 2010 as well as a Writer’s Digest awards (screenplay). She was also named the Yahoo Content Producer of the Year for Politics in 2008 after following the presidential election of 2008. 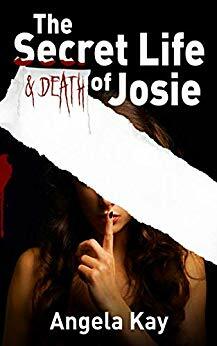 Connie maintains two short story series and a novel series as Connie Corcoran Wilson, but uses her full legal name, Constance Corcoran Wilson, on her children’s series, which she writes for and with her 6-year-old granddaughters. When I started Real Santa I wasn’t sure if I was going to like it. George lost his job, the fourth in 2 years, which gave me the impression that he was a loser. I soon learned, though, that he may not be the best engineer but he definitely was trying to be a good dad. George’s daughter, Megan, is 9 years old and is starting to question the existence of Santa. 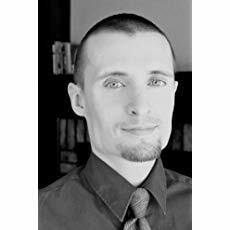 He feels like he wasn’t a good father to his older kids because he looked at Santa through scientific eyes when his son, Jeremy, asked about Santa (not pretty) and Jaimie found out when she was 8 years old from her mom’s boyfriend. The extreme that George is willing to go to to show show Megan that Santa is real is pretty over the top. He uses up all of their money and risks his marriage but he believes that it’s worth keeping the magic in Megan’s life a little longer. 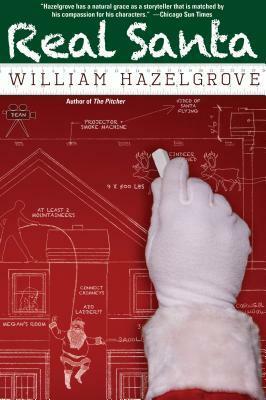 William Hazelgrove’s writing flows well, is easy to follow, and he has a good sense of humor. His characters are believable…they all have their good and bad characteristics just like “real” people. Most of Real Santa was just okay but I really enjoyed the last quarter of the book. If you’re looking for a different kind of Christmas story, this is it. Warning: there is some mild language. Summary: It’s almost Christmas and Santa finds himself in quite the predicament due to unintended consequences as a result of trying something new. Lobo, and his raven sidekick, Roxy, travel to the North Pole to help the jolly ole’ one and are guided by the Arctic animals. The colors of the season delight along the way and make for a howling good holiday. Can you howl Ho Ho Ho? This is the second Lobo book I’ve read and I love them! 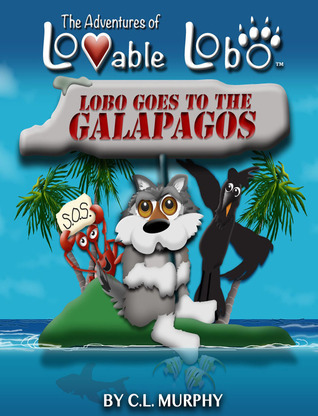 The Lobo books are cute and colorful books for young children. In Lobo’s Howliday, Santa sends word that he needs Lobo’s help, so Lobo and his friends immediately head to the North Pole. They receive help along the way from the Arctic animals and get to help Santa deliver presents on Christmas Eve! I highly recommend this book for young children. While new to the children’s book writing and illustrating scene,C.L. Murphy (Cathy) has been doodling her way through life since she won a school wide poster contest in the third grade. She’s had the pleasure of working as an artist in residence, creating cartoons and painting murals with the children at local elementary schools. She adores the wonder and curiosity of young children. 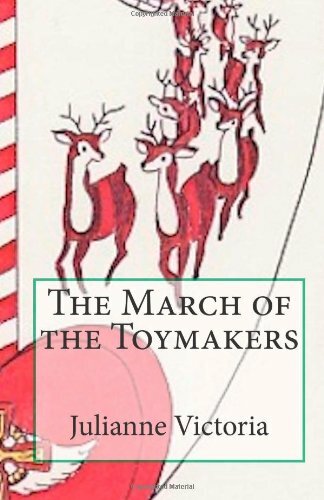 March of the Toymakers follows the journey of Santa’s chief elf, Nissa, on his quest to save Christmas. Santa barely has enough elves to make enough toys for all the children of the world, so he sends Nissa on a mission to find the Fair Feather Maid, who will help them recruit an army of elves to become toymakers. However, there are many challenges along the way, from solving riddles and breaking pixie spells to fighting off ogres, trolls, and goblins, all of whom wish to prevent the army of toymakers from making it back to Santa’s Village in time. If they do not make it back by Midsummer’s Eve, they will not have enough time to make all the toys that bring Christmas joys. The March of the Toymakers is an imaginative book full of adventure and mythical creatures including elves, fairies, trolls, ogres and goblins. Even though Santa is at the beginning and end of this story, and his chief elf, Nissan, is the main character, this is more of an adventure than a Christmas story. Nissan is on a quest to get more toymakers for Santa or there won’t be enough toys for Christmas. The March of the Toymakers is nonstop action and a fun read for both children and adults. It is especially a good book for those who enjoy quests. Available on Amazon and Barnes and Noble.